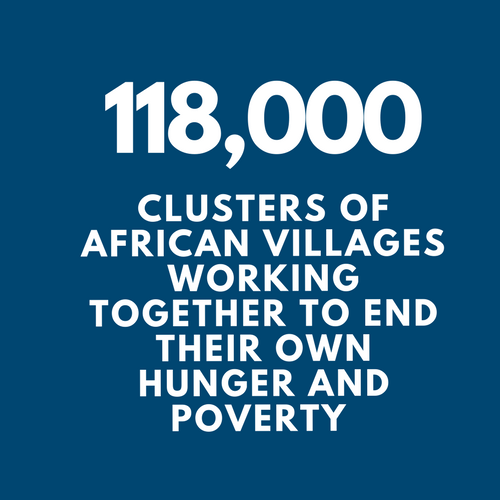 The Hunger Project as a worldwide organisation has developed strategic, integrated programmes in 8 countries in Africa, India, Bangladesh and Latin America where we reach 17 million women, men and children in 16 thousand villages. 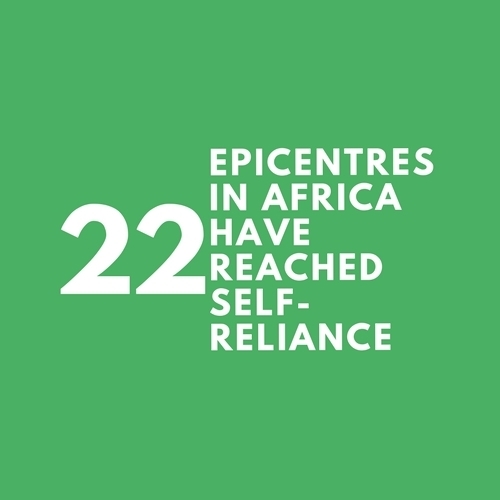 This work is supported by fundraising and awareness building activities in 10 partner countries, and increasingly within programme countries. 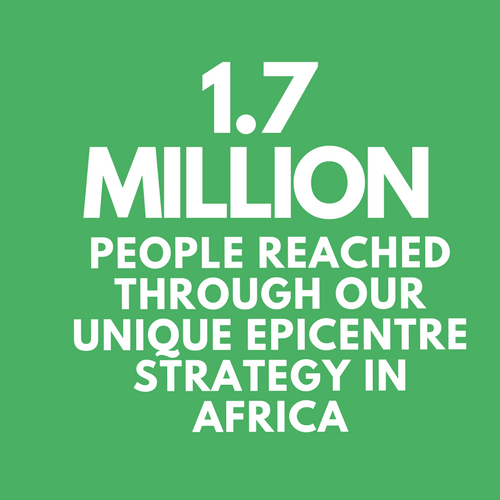 The global consulting firm McKinsey & Co reviewed The Hunger Project’s work in Uganda and found that our organisation is efficient and effective; that our distinctive approach delivers uniquely efficient, sustainable impact; and that we address attitudes first, and then, only after a mindset change, do we begin action through skill building and tangible projects. This creates ownership. We believe in delivering on our mission and vision. To do that we need to measure our impact. The Hunger Project’s programme countries have diligently been tracking activities and output indicators on a quarterly basis since 2008. 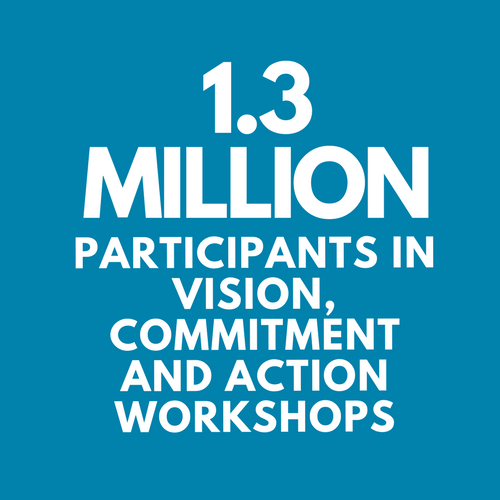 The Hunger Project has been simultaneously developing rigorous impact and outcome indicators to better measure long-term progress towards our goals. 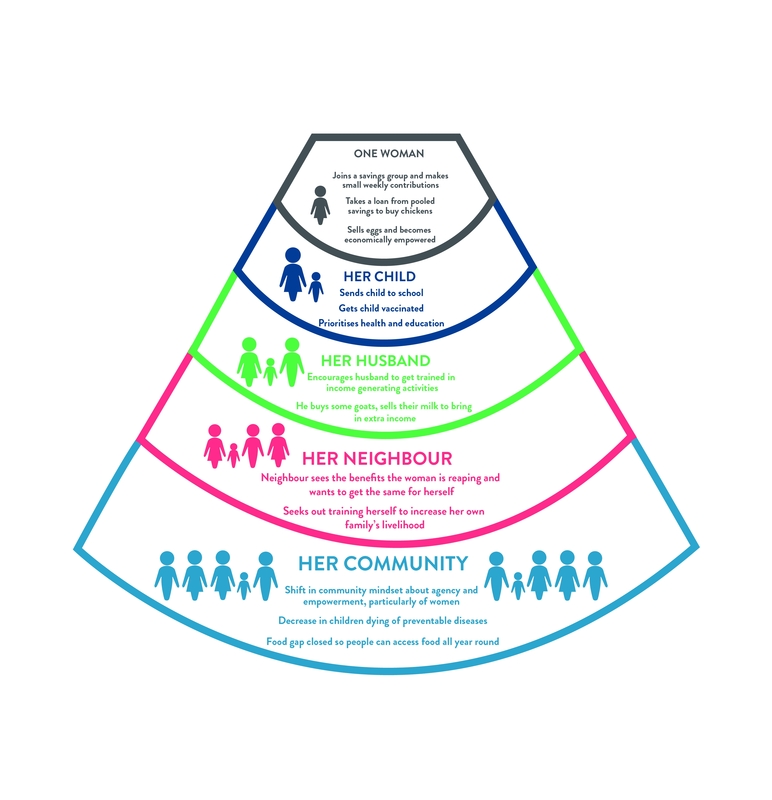 When The Hunger Project to trains just one person, the ripple effect it catalyses is far-reaching: to their children and spouses, to their neighbours and to the wider community. 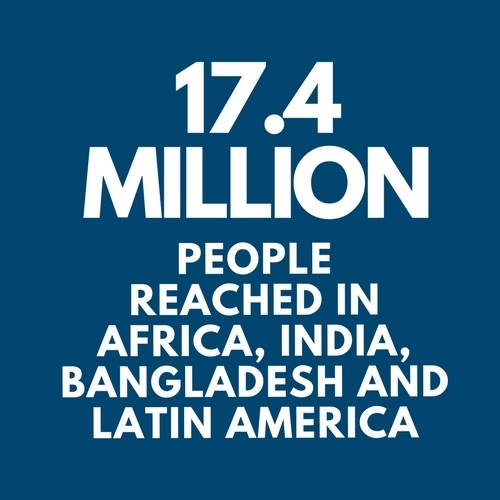 This is the power of The Hunger Project’s empowerment model and approach to ending hunger. 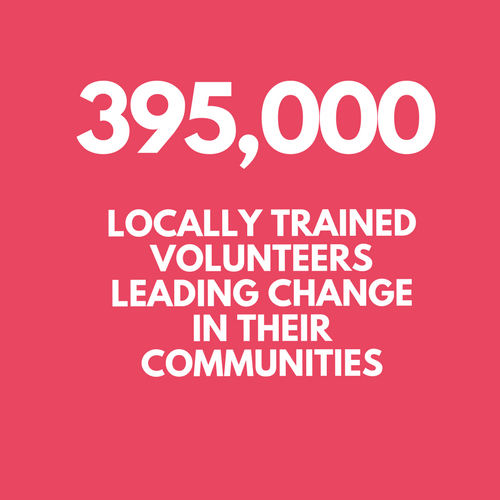 One elected woman leader trained by The Hunger Project creates a longstanding impact in her community over the 5 years of her tenure.